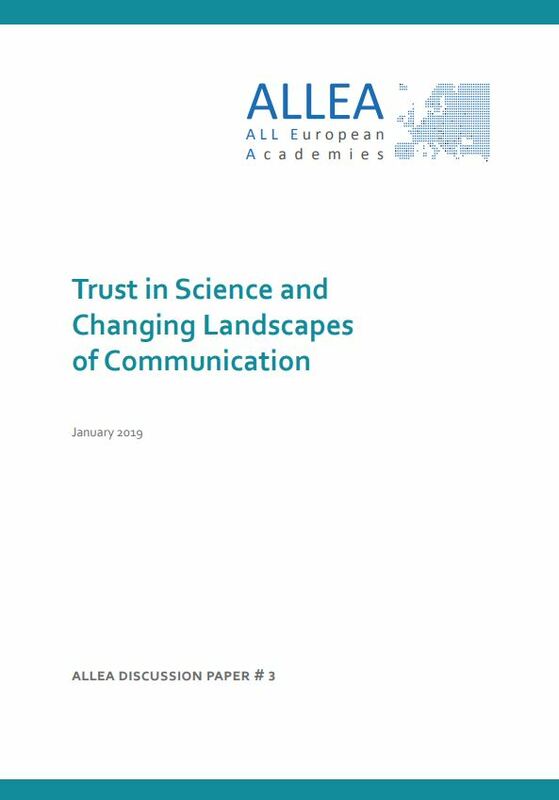 The ALLEA Working Group Truth, Trust and Expertise (WGTTE) is a transnational platform for perspectives on the nature of and relationship between truth, trust and expertise in the field of science. 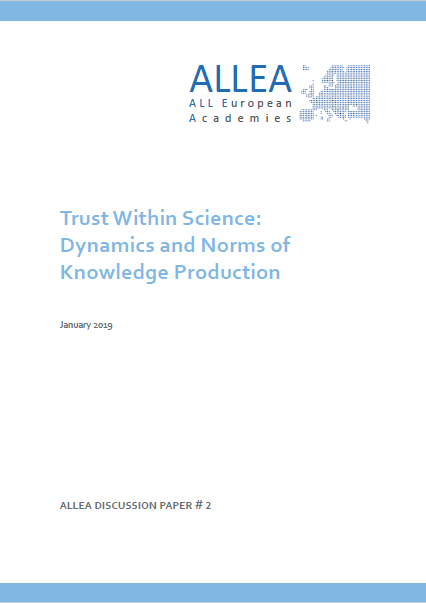 The expert group aims to interrogate and explore current and past dynamics of public trust in expertise and the contested norms of what constitutes truth, facts and evidence in scientific research and beyond. 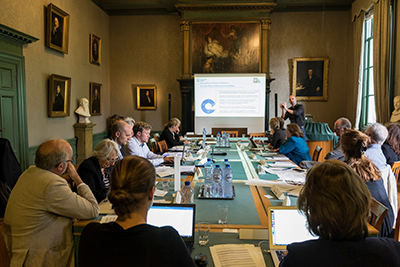 Central themes of the group include: the alleged loss of trust in science and evidence, questions of how valid knowledge can and should be acquired and communicated, and how different academic disciplines are dealing with these challenges. The objectives of the Working Group are to promote the values of science and research, as well as the benefits of including scientific reasoning in public discourse. The group further aims to conceptualise a pan-European, or possibly global, initiative on the above questions deriving from changing social and political contexts in relation to truth, trust and expertise. Loss of Trust? 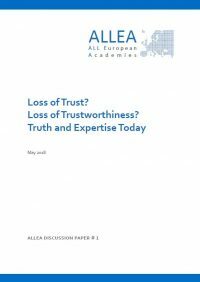 Loss of Trustworthiness? Workshop in London at the British Academy on the alleged loss of trust(worthiness) in science and expertise in a changing world. Workshop in Sofia at the Bulgarian Academy of Sciences on the spectres of scientific knowledge production in the 21st century. Scientific Symposium “Science in Times of Challenged Trust and Expertise” in the context of the ALLEA General Assembly 2018 at the Bulgarian Academy of Sciences. Workshop in Amsterdam at the Royal Netherlands Academy of Arts and Sciences on the changing landscapes of communication. 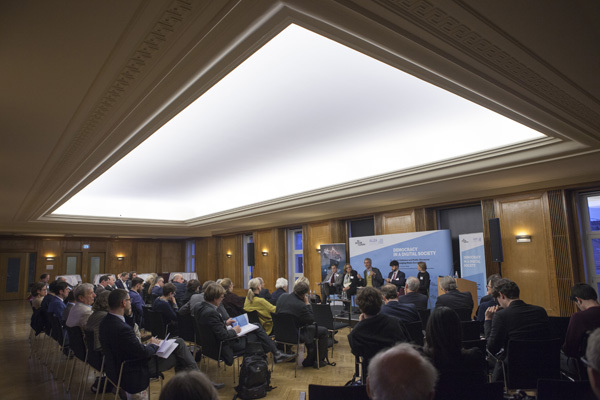 International Forum “Democracy in a Digital Society – Trust, Evidence and Public Discourse in a Changing Media Environment” at the Berlin-Brandenburg Academy of Sciences and Humanities. The event was co-organised with Re-Imagine Europa.